An ice cream sandwich consists of a slice of ice cream between two rectangular wafers and is a favorite summertime treat in Ireland. 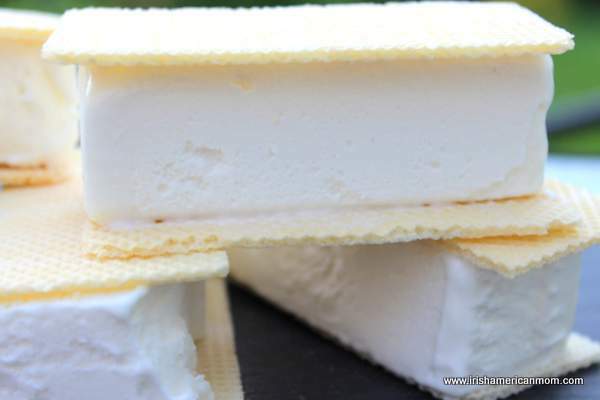 The ice cream layer for these little slabs of summer is sliced from a pint block of ice cream. 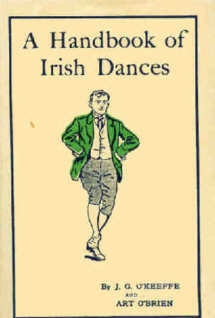 Now here comes the golden Irish nugget for this blog post. 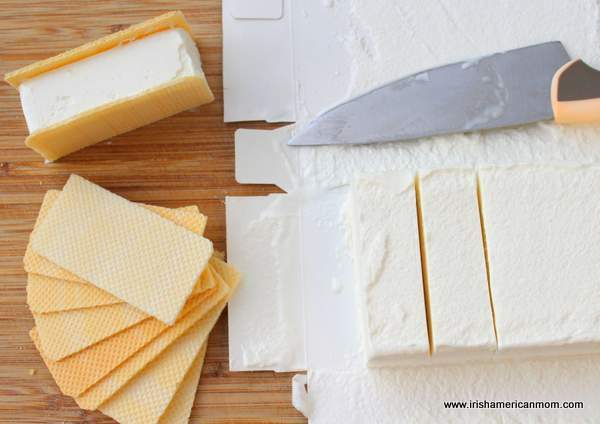 Believe it or not, blocks of ice cream were first created in Ireland way back in the 1930’s. 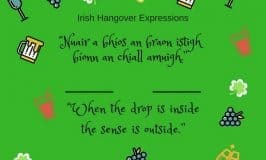 Who knew the ice cream block was an Irish creation? Way back in the 1920’s in Ireland, ice cream was a pricey, luxurious treat, few were lucky enough to sample. Ice cream was only available in Italian parlors or large Woolworths stores in Dublin, Cork and Belfast. 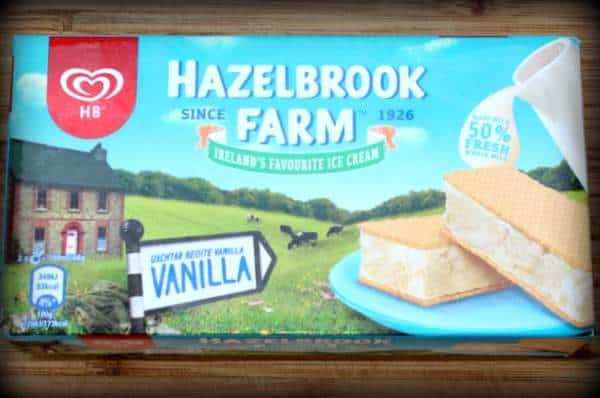 But everything changed in the 1930’s when the Hughes Brothers of Hazelbrook Farm in Rathfarnham built an ice cream factory to use up their excess milk. 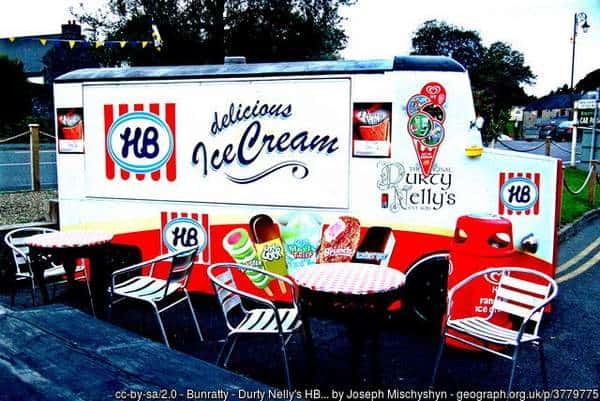 Ireland’s famous HB ice cream brand was born, and continues to this very day. However, the Hughes brothers could produce far more ice cream than the few shops capable of selling this frozen treat were able to handle. Now, the electricity grid was under construction in Ireland right at this time and the shrewd Hughes brothers targeted the expanding Dublin suburbs to promote their growing business. They agreed to purchase state-of-the art American fridges for retailers if they agreed to only stock HB ice cream in their new freezers. They also purchased cold storage trucks to transport the ice cream to the shops. To maximize storage and make this whole process as efficient as possible, they created the block of ice cream. Perfectly regular rectangles were designed for stacking with no empty air pockets between the blocks. Ice cream was soon shipped in truck fulls all around Dublin. Women could purchase an ice cream block, wrap it in newspaper to keep it cool and bring it home as a special creamy treat for all the family. Now! Not everyone could afford a whole block of ice cream, so it was time for shrewd shop keepers to come up with a solution for selling single servings of ice cream. The ice cream sandwich was quickly embraced. A block of ice cream and thin rectangular wafers were the two simple ingredients required. Soon children around Dublin were enjoying cool wafers of sandwiched ice cream. For those with a little bit of money, an after-Mass ice cream sandwich on a Sunday became a status symbol. I remember paying about 3 or 4 pence for a slider back when I was a chisler in Dublin and I enjoyed many an ice cream sandwich after mass or a trip to the beach. 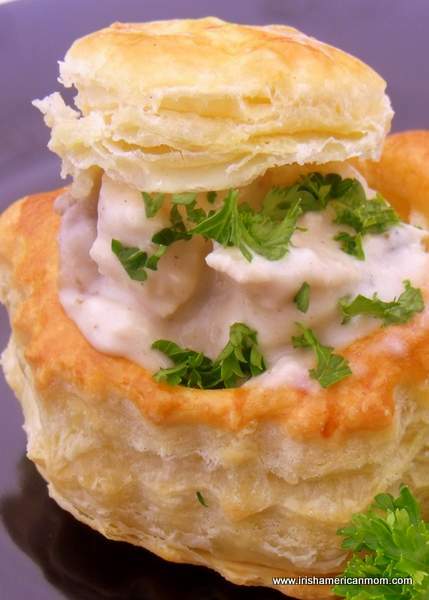 Of course, by the 1970’s the 99 ice cream cone had grown in popularity so there was a little bit of competition for the trusty slider. But 99 ice cream cones are a topic for another day. Some shopkeepers even had a special slicer for creating perfectly equal ice cream portions out of each block of ice cream. But the best and tastiest ice cream sandwiches were the ones our mothers made. Irish mammies know exactly how thick a good ice cream sandwich should be. 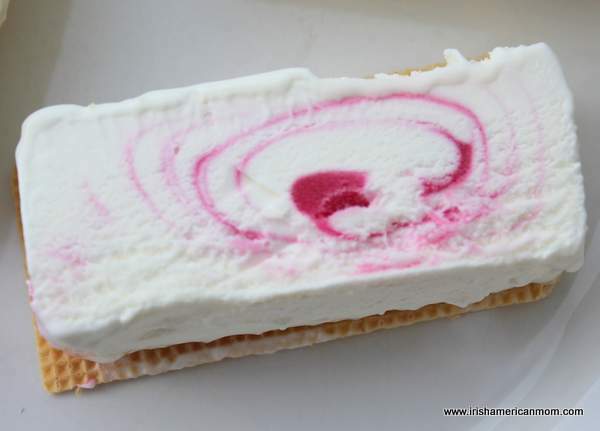 Who remembers ice cream wafer sandwiches like our Irish mammies used to make? 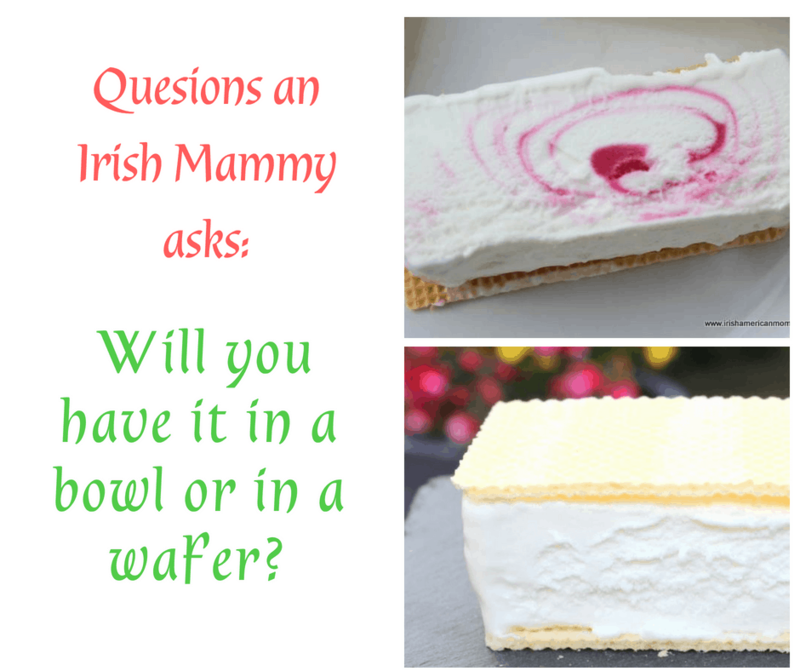 If you were born in Ireland in the 1960’s or 1970’s you’ll immediately think of ice cream when you hear the question …. 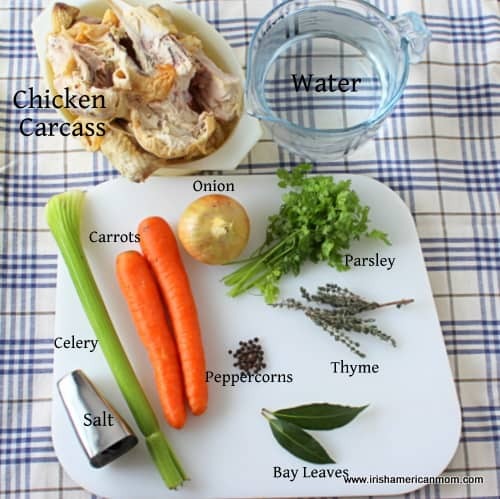 Will you have that in a bowl or in a wafer? 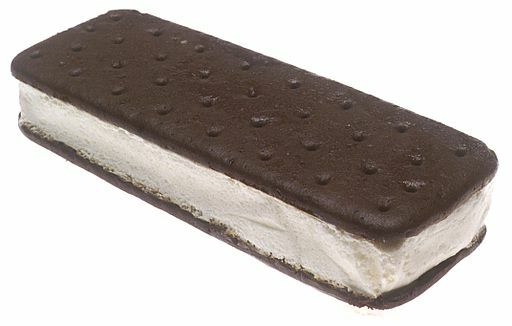 Irish ice cream sandwiches differ from their American cousins, in that plain and crispy vanilla wafers are used, not the thick and soft chocolate variety preferred in the USA. Ever so simple, but tantalizingly delicious, ice cream sandwiches continue to be a summer time favorite. I fondly remember the joy when my mother would appear at the front door on a hot summer evening with a plate of ice cream sandwiches for every kid playing on the street. In the summer months she always seemed to have a block of HB ice cream at the ready, and an endless supply of crispy vanilla wafers. I have no idea where she hid those little treats, because if I had known her secret hiding place, there might have been a severe wafer shortage whenever an ice cream sandwich was on the menu. But if my mom inevitably ran into a “no wafer” scenario, two Rich Tea or Marietta biscuits were called into action to sandwich that slice of ice cream. Eating an ice cream sandwich was an art form skillfully learned over years of childhood practice. My technique involved licking around the sides of the ice cream, taking care not to scrape my tongue on the sharp edges of the wafers. As the ice cream reduced in size, a gentle squeeze of the wafers pushed more ice cream out to the edges. 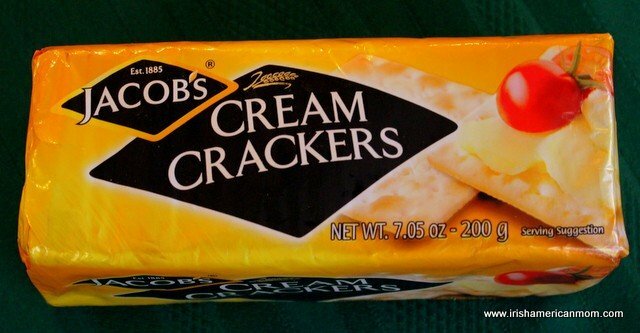 Once the wafers started to meet it was time to take a bite. I liked to eat all the ice cream before the wafers went soggy. Ice cream sandwich eating was pretty intense work to avoid a soggy scenario, especially if you were lucky enough to get an extra thick slice of vanilla goodness between your two wafers. 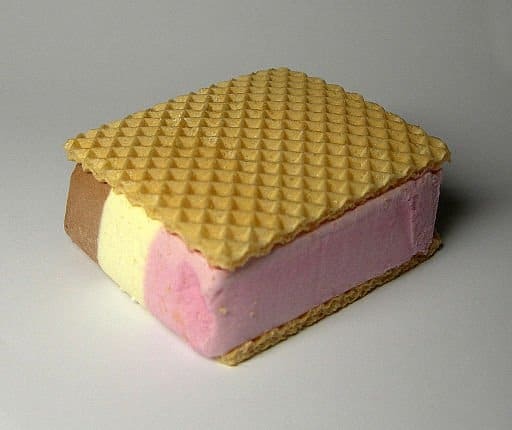 Now my mother tended to be a vanilla ice cream wafer sandwich maker, but some of my friends’ moms preferred raspberry ripple or Neapolitan ice cream blocks. Remember Daniel Day Lewis as Christy Brown in the film “My Left Foot” asking his mam for “neapolitan” when she was off to pick up a block of ice cream. But no matter which flavor your family preferred, I think one thing everyone can agree upon is that you can’t beat a good ice cream on a sunny summer’s day. And ice cream sandwiches were, and still are, one of the very best ice cream treats in the whole wide world, especially for anyone born and raised in Ireland. Disclosure Notice: This is an affiliate link below which means I will earn a small commission should you choose to make a purchase through this link. 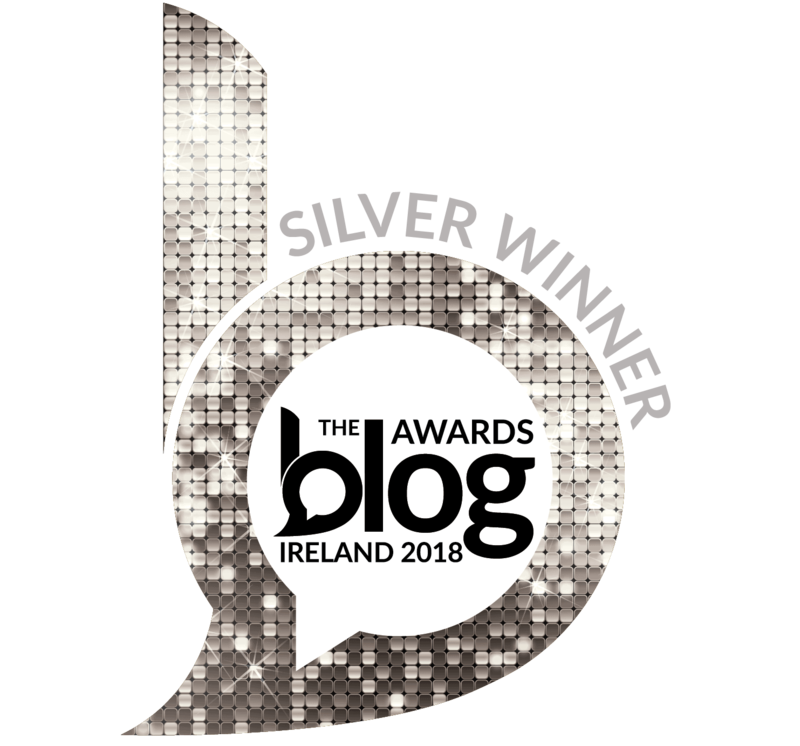 I learned all about the history of the ice cream block in a little book of Irish history and stories called “From Clerys Clock to Wanderly Wagon – Irish History You Weren’t Taught At School” by Damian Corless. Here’s a link if you would like to check it out.